Judith Yates is an Award-winning true crime author and criminologist. She has been employed in law enforcement for over 35 years. She discusses her books and why she thinks former prison seamstress Joyce Mitchell helped two convicts escape a NY state prison last June causing an international manhunt. 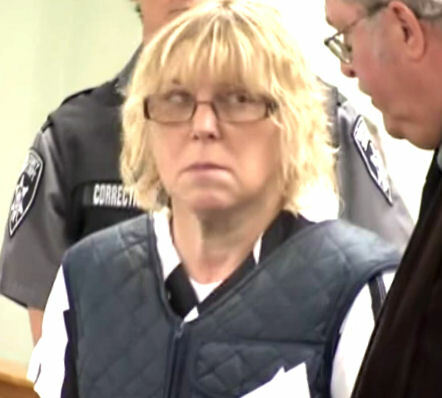 It is being reported on November 6, 2015 that Joyce Mitchell, the former prison seamstress who helped two convicted murderers escape a New York State prison last June has been ordered to pay $80,000 in damages. On Friday June 26th prison escapee Richard “Matt was shot and killed by a Customs and Border Protection SWAT team in the town of Elephant’s Head [NY] Friday afternoon after failing to respond to an order to raise his hands.. . .The search for the men intensified in the area after Bob Willett, a cabin owner, called authorities after noticing items missing and out of place.